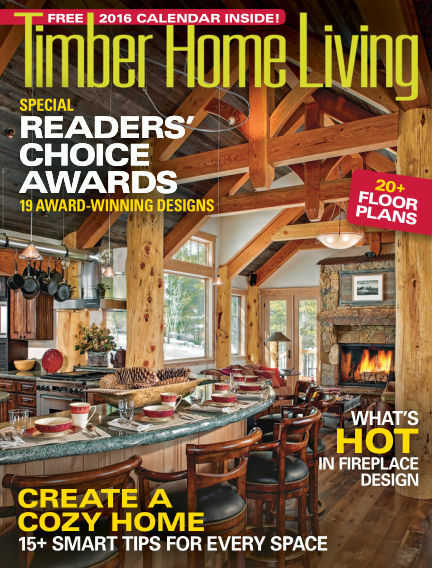 In this issue of Timber Home Living : Discover the Beauty and Efficiency,Established in 1991, Timber Home Living showcases the world's most energy-efficient homes, including timber-frame, post-and-beam, and hybrid structures throughout North America. The magazine offers planning, design, and decorating advice, as well as home tours that provide amazing inspiration for one of the fastest-growing segments of the custom-home marketplace. With Readly you can read Timber Home Living (issue Nov / Dec 2015) and thousands of other magazines on your tablet and smartphone. Get access to all with just one subscription. New releases and back issues – all included.